Since A.D. 2009, I’ve published 25 articles on the fraud that appeared to infect most home foreclosures (see, Foreclosure). This will be the 26th. 1) The banks seemingly loaned money to people to buy new homes. 2) These loans were based on the home-buyers’ signatures on Promissory Notes and Mortgage documents that memorialized the home-buyers’ promise to a) repay the loans; and b) surrender possession of the house if they defaulted on repaying the loans. These written documents created the banks’ rights foreclose on the home-buyer and seize his home if he defaulted on making his loan payments. Donna Lee was on my radio show about five months ago. She talked in part about her experiences in fighting against government in general and foreclosure in particular. Yesterday, we talked briefly and she seemed to have some new insights. I asked if she wanted to be on the radio show again. She declined but she recommended I interview a man who goes by the name of “Boris” and whom she described as a “genius”. Donna told me that he’s had had some remarkable success in dealing with a mortgage and also in a couple of other legal issues. I called “Boris” with a certain amounts of skepticism. I know a lot of people who are highly recommended but can’t talk well enough to be on radio. I presumed that “Boris” would fit into that status. I now believe I was mistaken. “Boris” (not his real name, and I don’t know what his real name is) is extremely articulate, intelligent and well-spoken. In fact, he’s so “well-spoken” that I can’t keep up with about two-thirds of what he says. His “legal theory” involves the law, spirituality, philosophy and even a kind of “mysticism” (that’s my description; not his) that’s based in part on clues he’s picked from a couple of motion pictures and even a Bugs Bunny cartoon. His total theory is “eclectic”. It relies on information from a wide and surprising variety of sources. However, in general, he seems to be believe that the whole system is based on military law. His theory focuses on elements of the Lieber Code, admirality, the 1907 Hague Convention, etc. “Fannie Mae and Freddie Mac, the two mortgage finance giants whose financial woes required massive taxpayer bailouts in recent years, could be missing out on as much as $4.6 billion in payments from foreclosed mortgages in their portfolios . . . .
“Freddie Mac alone has not dealt with about 58,000 foreclosures on single-family homes, letting the borrowers go into default instead of paying back the loans . . . . many of those in default are not disenfranchised families down on their luck. Instead, they have the financial capability to pay back their loans. “Freddie Mac eliminated any possibility of recovery when it did not refer foreclosed mortgages for evaluation of collectibility,”. . . . Disorganization cost the mortgage company 6,000 potential foreclosures because the statute of limitations expired. Songs like the one below make me wonder if the politicians will be voted out of office or if they’ll be laughed out of office. What other country in the world would respond to nation-wide foreclosure fraud with a song? I would expect the victims of the foreclosure fraud to either do nothing or start shooting, but instead they (some of ’em, at least) have started singing. I don’t know if this reaction is good or bad but it’s strangely unexpected. 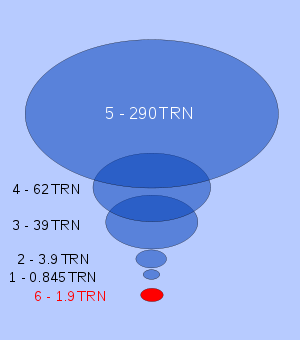 Great Recession or Greater Depression? As a child, I learned about the Great Depression. The way the story was presented to me, I came to believe that everything was great until one day in A.D. 1929 when there was a stock market crash. Result? The whole nation was instantly plunged into the “Great Depression”. I concluded that the Great Depression occurred as suddenly as flipping a light switch. One day everything was bright; the next day everything was gloomy. As an “adult” (some would still dispute that characterization), I was much surprised to read that Americans didn’t even generally agree that they were in a Depression until about A.D. 1933. 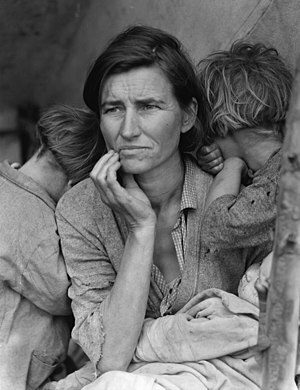 In retrospect, we agree that the Great Depression started in A.D. 1929. But at the time, people didn’t generally perceive and believe that they were in a Depression until four years later. Thus, it can take years for the vast majority of people to accurately assess and understand their current economic condition. It’s entirely possible for the economy to be in a state of depression or recovery for several years before the general public recognizes the truth of their circumstances and acts accordingly. Tiny Greece is at the center of this financial storm because it’s believed that a Greece default could trigger a domino effect reminiscent of A.D. 2008 when Bear Stearns and Lehman Brothers set off a chain reaction that threatened the global economy. This is almost comical. 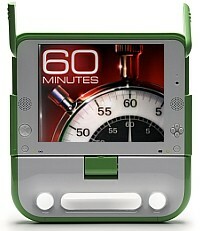 60 Minutes produce an episode on foreclosure fraud last Sunday. 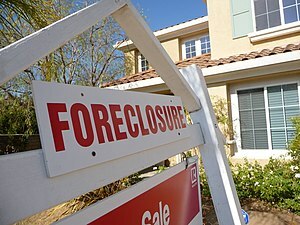 60 Minutes explains that something “bizarre” has happened in that the banks and lending institutions foreclosing on homes have somehow “lost” the foreclosure documents required to legally foreclose on homes. There’s nothing “bizarre” about the “lost” mortgage documents. The banks want the people to believe that the original documents have somehow (“bizarrely”) been accidentally “lost” because such accidents do not incur criminal liability. But the truth is that in virtually all instance, the banks didn’t “lose” the mortgage documents–they sold them to third parties for full face value. Why did they sell the mortgages? So as to be paid twice on each home loan.